Public speaking, also called oration or oratory, is the process of communicatingInterpersonal SkillsInterpersonal skills are the skills required to effectively communicate, interact, and work with individuals and groups. Those with good interpersonal skills are strong verbal and non-verbal communicators and are often considered to be “good with people”. information to a live audience. The type of information communicated is deliberately structured to inform, persuadeEmotional IntelligenceEmotional intelligence also known as the emotional quotient (EQ) is the ability to manage one's emotions and the emotions of others. For business leaders, high EQ is essential to success. This guide covers the five elements of emotional intelligence and their relevance to characterizing a successful leader. EQ vs IQ, and entertain. Many people fear they suffer from a public speaking weaknessPublic Speaking WeaknessThe "public speaking weakness" answer is a great way to get around the question, "what is your biggest weakness?". If public speaking is not required for the job, then it's a safe answer because it will not really impact your job performance, and yet it's a very common and relatable weakness for most people. This guide and lack the will to master the skill. This guide will give you some helpful tips. Style: Masterfully constructed by using words to create text that is both beautiful to hear and read. Substance: A centralized theme to appeal and inspire the audience’s values and ideals. Impact: Impactful by changing opinions, minds, and hearts. An impactful oration results in a lingering effect on the audience. On December 8, 1941, Franklin D. Roosevelt delivered an electrifying speech, declaring war on Japan and assuring Americans that the United States would achieve victory. Imagine the uneasiness of every American family knowing that their world was about to change. The reaction of Congress solidified a very real and exceptionally delivered speech. The speech brings every listener to a very critical moment in history. On August 28, 1963, Martin Luther King Jr. delivered a speech to end racism in the United States and for civil and economic rights. This sterling example of great public speaking was a defining movement of the civil rights movement, which resulted in the passing of the Civil Rights Act, giving African-Americans equal treatment. It is considered one of the greatest pieces of oratory in American history. The greatest public speeches in the world motivated people during dark times, gave hope in times of despair, provided courage and inspired millions, and changed the course of history. 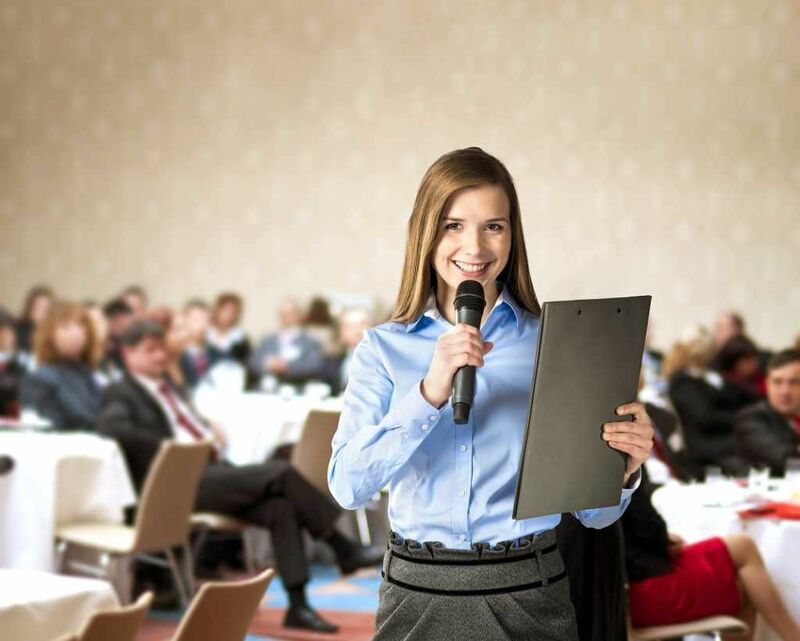 Now that the importance of public speaking and its impact on others are understood, let us understand the importance of good public speaking in a business setting. External Speeches – these are delivered to investors, suppliers, and other parties that don’t directly work for the company. Internal Speeches – theses are delivered to employees if the form of a Town Hall kind of address or an All-Hands meeting. Meetings & Presentations – meetings and presentations are much less formal than the above two types of speeches and occur more frequently. Having good public speaking skills at an internal meeting can be very important for your career. Gathering employees, shareholders, customers, or the public together requires time – there should be a good reason to do so. Therefore, this is an important opportunity to inspire, inform, persuade, and re-excite the audience about a certain idea. The public speaking skill of an individual gives an impression of the company. For example, if a CEO delivers a bad speech, the audience may conclude that the company has lackluster leadership, the company is a waste of time, or that the company is not putting in the effort to be successful. Good public speaking sparks innovation and opportunities. For example, a well-delivered speech in a board meeting room can inspire organizational change and push the company in another direction. Every major business decision starts with a good public speech or group discussion. Tools such as Monroe’s Motivated Sequence and The Rhetorical Triangle can help plan a public speech. In addition, starting with something interesting, such as storytelling, can be a powerful opener in public speaking. Understand the structure of your public speech and the impact you want it to make on your audience. A strong public speech is not something that is written and delivered in a day – it takes days to prepare and plan an effective oration. Is your tone of voice controlled? Are you putting greater emphasis on important words? Are you using a lot of filler words such as “um, er, ah, like”? Does your body language correlate with what you are trying to convey? Do you have a power stance? A good oration should not be one-sided. It is important to get your audience engaged. The audience should be able to feel your power and presence. For example, words such as “I think” or “maybe” limit the power that the speaker has. Instead, use words such as “actually” or “in fact.” Introduce pauses in your oration to not only slow yourself down, but to give the audience a chance to think about what you have said. An oration that is delivered too fast incites confusion and ambiguity. Public speaking in front of others can understandably be nerve-racking. We often envision something terrible happening, such as an awkward pause or forgetting what you were going to say. However, it is important to know that these thoughts cause us to be more nervous than we really should be. Stop thinking about your nervousness and fear and instead develop a winning mindset. Be confident in yourself and do not self-sabotage. Organize your thoughts and materials. Practice and prepare your speech. Eliminate your fear of failure by being confident in yourself. Watch your facial expressions and body language in front of the mirror. Record yourself and get used to your voice and speaking style. Deliver your speech to another person. Do some deep breathing and stay hydrated before speaking. Incorporate strategic pauses to help regain composure and reduce anxiety. Do not memorize your speech – rather, remember key points.